Rev. Albert Phillip Gower-Rees MC served his God, his King and his parishioners on two continents and through two world wars. Born in Carmarthen in 1880 Albert was a keen sportsman and an avid rugby player. As a young man he attended Christ’s College, Cambridge and was ordained at York Minster in 1905. In 1907 he became Senior Curate at Doncaster where he spent five years delivering spirited sermons and captaining his Rugby Union Football club. 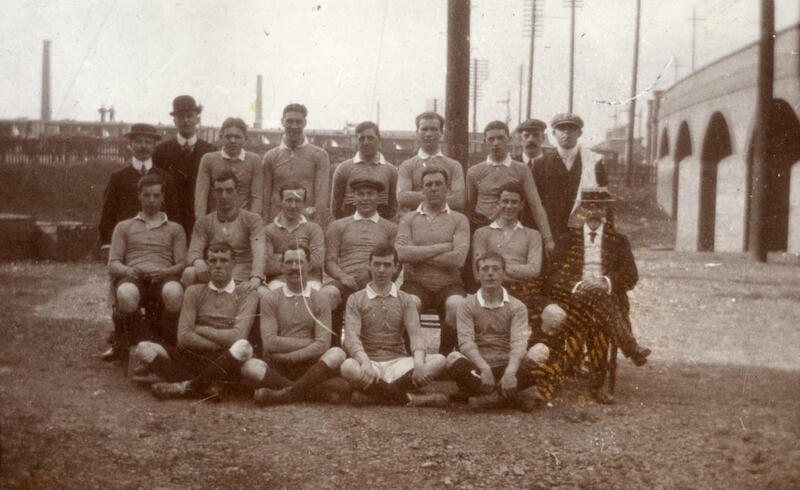 It was here that he earned his nickname the “Football Parson” but not just for his exploits on the rugby field. He believed Association football “trained and made men” and his sermon entitled “The Referee” was delivered to 1700 young football supporters in 1909. 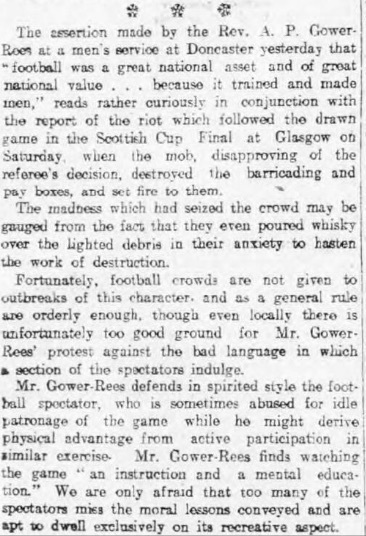 The address was widely reported in local papers although the Sheffield Evening Telegraph questioned his stance on football supporters in light of a recent riot at the Scottish Cup Final in Glasgow. 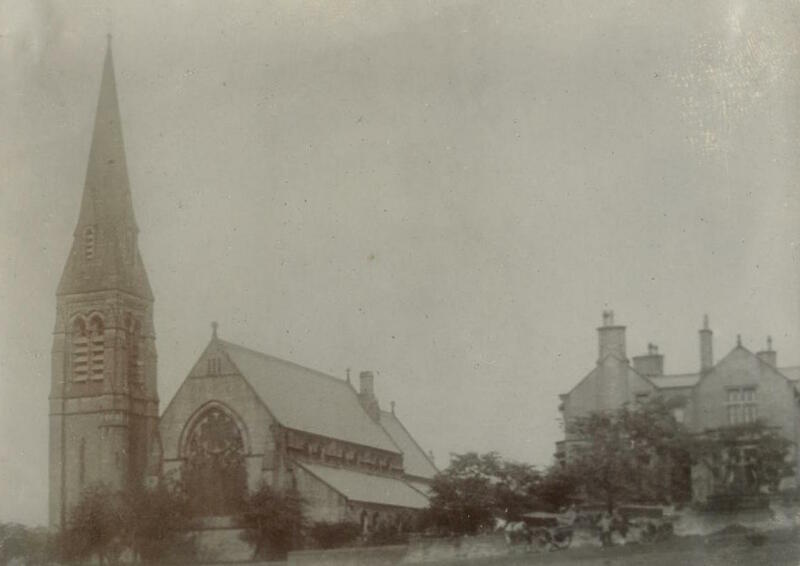 On May 2, 1911 Albert married Sarah Emily Atkinson-Jewett at St. James Church in Bolton, Bradford where in the following year he became Vicar. The church was built by Sarah’s grandfather James Atkinson-Jewett and it was at the Vicarage that Albert and Sarah raised their three daughters: Joan (1913-? ), Gwen (1914-1980) and Mary (1917-2011). 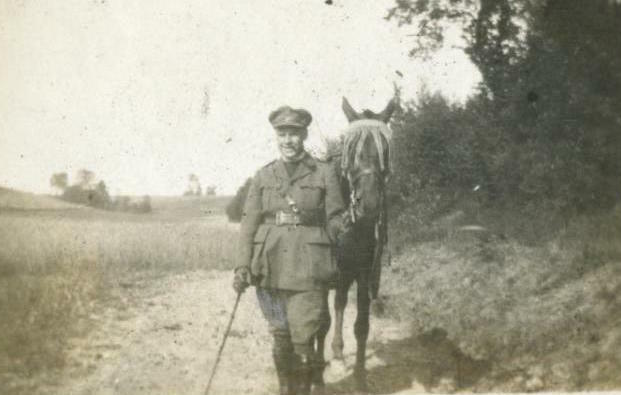 Sarah’s step-brother Lt. James Atkinson-Jewett was a frequent visitor until he was killed in action in 1916. Rev. A.P. 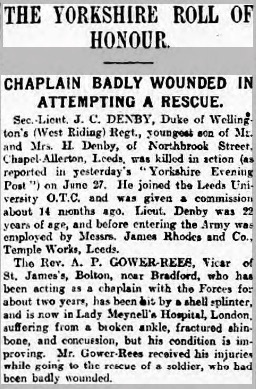 Gower-Rees was appointed Temporary Chaplain to the Forces, 4th Class on June 10, 1915 but by the end of the war he had risen to Deputy Assistant Chaplain-General of the occupying British Army in Germany. In the intervening years he was twice mentioned in despatches and was awarded the Military Cross in 1917. It was in the summer of that year that Rev. Gower-Rees was wounded while rescuing a critically injured soldier. According to a newspaper report he was hit by a shell splinter and spent time at a hospital in London recovering from a broken ankle, fractured shinbone and concussion. The family photo album devotes two pages to his service in France, both of which appear in the photo gallery below. After the war Rev. Gower-Rees became an out-spoken supporter of ex-serviceman, a topic I will cover in the third and final article in this series. 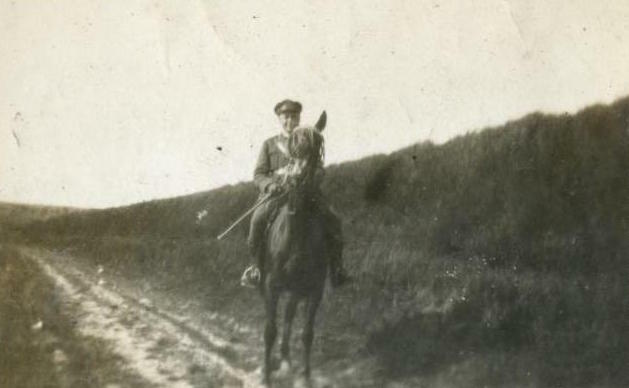 The final instalment will also include many photos taken on the family’s visit to France and Flanders in 1926. 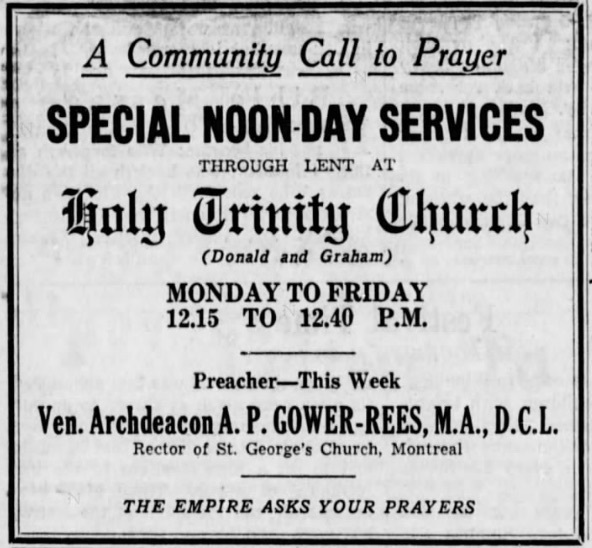 In 1927 he accepted an offer to become Canon Gower-Rees, the Rector of St. George’s Church in Montreal and in October of that year his family made the move to Canada. During the Second World War he was a Lt-Col. in the Corps of the Imperial Frontiersmen and was appointed Chaplain of the Royal Canadian Navy. Rev. Albert Philip Gower-Rees served his Canadian congregation for nearly 30 years. He died in Montreal on August 31, 1956 just three weeks before he was due to retire. An excellent piece about Archdeacon Gower-Rees. The microfilming of the Gazette was poorly aligned, but in the event you had not seen the write-ups in the Montreal Gazette at the time of his death, I thought I would pass the attached along for your file on the Archdeacon.